An early morning start for the boys and I. The sun is shining and we take our usual short stroll down the lane to the copse. The sunshine and birdsong encourages me through the woods and we pick up Weavers Way heading towards Cromer. This takes us across open fields before joining the road into Cromer. 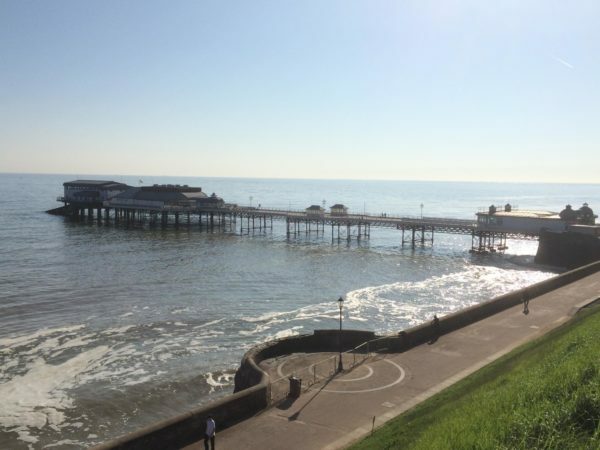 Cromer is one of those places best visited when no one else is about. Fortunately at this time of the morning there are few around and those that are seem like-minded. It is a beautiful morning, the sea is calm, back in December this area of the coast was battered by storms and part of the promenade wall was damaged. It seems hard to believe today. 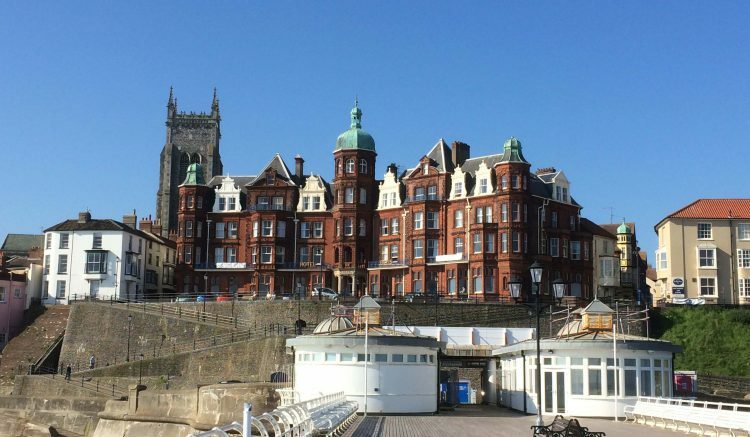 Cromer became a seaside resort in the early 19th Century. From the promenade the Pavilion Pier dominates the view. I take a stroll along it and look back at the town and the architectural splendour of the Hotel de Paris. Originally built in 1820 as a marine residence for Lord Suffield and converted to a hotel in 1830. Walking back out of town through the narrow lanes we pick up the start of the Weavers Way that takes us past the Zoo, the sounds of the animals confuse Dexter and Crosby. It has been a pleasant four mile stroll to start the day. For our main walk of the day we leave the car and walk from the site. We wander down the lane and pick up the Weavers Way heading away from the coast. Following the track we pass Driftway Farm with its barns converted to holiday accommodation and a CL in the paddock and then onto the road, turning right into the village of Felbrigg. 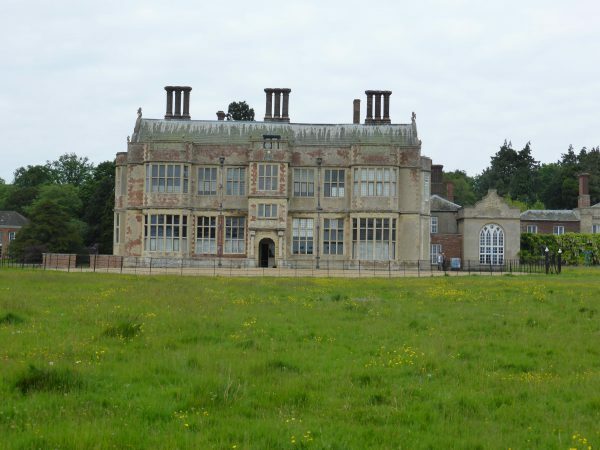 At the village green we fork left, still on Weavers Way we walk through Felbrigg Park, the house is an impressive building and Lynnie says that she will be visiting it later in the week. I might even let her blog about it. We leave the waymarked path to join the footpath towards Aylmerton, across a couple of fields and along the lane we enter the village. 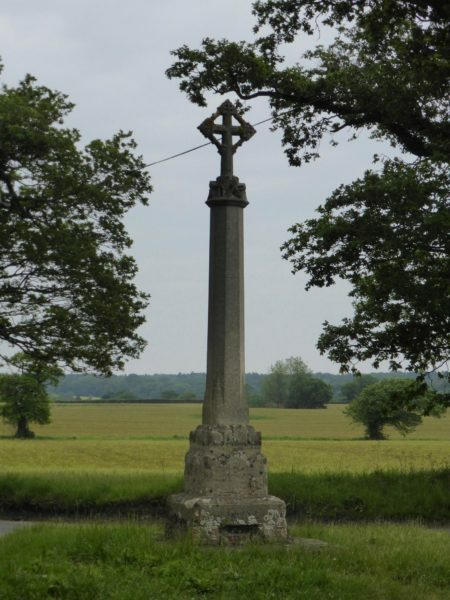 At the junction a left turn onto Church Road takes us to Aylmerton Stone Cross, this ancient cross is believed to be a waymarker for pilgrims on the road to Walsingham. From the cross we join Mill Lane drove and follow this for about a mile before turning right onto another drove, Bennington’s Lane. Reaching the road we go straight across joining the footpath opposite taking us by Beeston Regis Quarry and onto Beeston Regis Heath. At a junction of paths we go straight on down the track. Beeston Regis gained its Royal tag as Henry Bolingbroke then the Earl of Lancaster, inherited Beeston Manor. In 1399 he became King Henry IV. Bolingbroke was the son of John of Gaunt, who was the third surviving son of King Edward III. Usually when walking Lynnie carries the map to ensure we keep on track. When I have the map it is dual purpose, first to set a route and secondly to find where we are when I stride off down an interesting footpath taking us away from our planned route. We have now strayed from our route and this will add a few miles to our walk. Lyn’s face looks like she has been in the queue at the ice cream van only to be told that they have sold out. I think I might pay for this! Crossing the busy A149 we walk out towards the railway line, go under a bridge and turn right towards West Runton. In the village I am trying to score points by finding the quickest route back. I therefore, avoid the temptation of a pint in a sunny pub garden. We are now on the road towards the railway station. After crossing the tracks we turn left to walk alongside and then across the golf course (not one to revisit) and then turn left on the footpath in front of the Caravan Club Incleboro Fields main site. At this point we meet an old boy with his dog walking down the hill. We greet him and are treated with the reply “Tis a lubley a’ternoon fur jammin bout”. He provides us with local knowledge of the quickest route to Cromer. Smiling from our exchange we follow his directions to East Runton, turning right at the duck pond and left at Manor Farm to go under the railway bridge and down into Cromer. 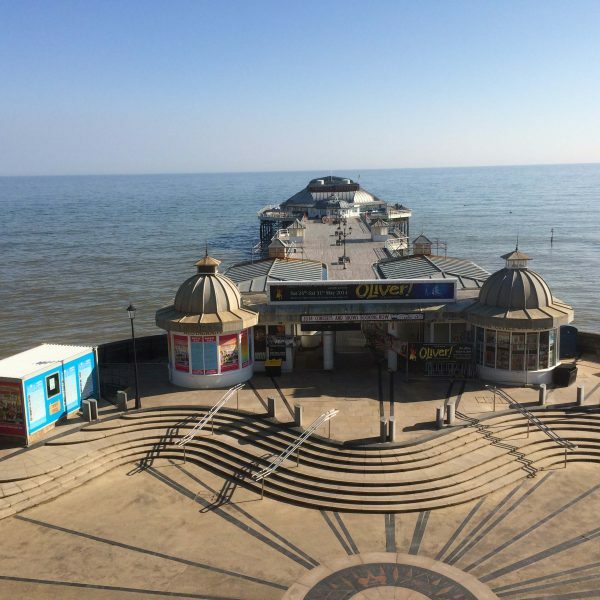 We take a short detour into town so Lyn can see the pier, she declines the offer of a bag of chips. What should have been a ten mile walk has turned out to be over twelve. Relaxing back at the Unicorn it is agreed that tomorrows walk will be shorter. Dexter looks up with an approving glance!